Peter Leary - Mind your p's and queues: the past and the Irish border. Keynote by Peter Leary (UCD) at Partitions and Borders - a comparative and interdisciplinary conference jointly organised by UCD and JNU.. . .
Sucheta Mahajan - 'Bearing Witness' to 'Silence as Sanctuary': Remembering and Forgetting in Oral Histories of Conflict in India and Ireland. Sucheta Mahajan's (JNU, New Delhi) keynote at Partitions and Borders - a comparative and interdisciplinary conference jointly organised by UCD and JNU.. . .
John Coakley - The Irish border: the first hundred years. John Coakley's (UCD) keynote at Partitions and Borders - a comparative and interdisciplinary conference jointly organised by UCD and JNU.. . .
Debali Mookerjea-Leonard - Literature, Women, and the Partition of India: Borders, Bodies, Livelihoods. Debali Mookerjea-Leonard's (James Madison University) keynote at Partitions and Borders - a comparative and interdisciplinary conference jointly organised by UCD and JNU.. . .
Stathis Kalyvas - Violence in Civil War. Prof. Stathis Kalyvas (Oxford) gives an overview of past research on violence in civil war as part of 'Writing the History of Civil War', a UCD Centre for War Studies seminar.. . .
Glenda Gilmore - Writing the History of the American Civil War. Prof. Glenda Gilmore (Yale / UCD) talks about writing the history of the American Civil War as part of 'Writing the History of Civil War', a UCD Centre for War Studies seminar.. . .
Anne Dolan - Writing the History of the Irish Civil War. Dr. Anne Dolan (Trinity College Dublin) talks about writing the history of the Irish Civil War as part of 'Writing the History of Civil War', a UCD Centre for War Studies seminar.. . . Writing the History of Civil War (UCD War Studies). This UCD Centre for War Studies seminar gathered some of the leading scholars of civil wars to discuss their unique approaches to the subject.. . .
Linda Colley - Inscribing a Modern World: Constitutions Across Histories and Literatures. Professor Linda Colley's 2018 UCD Arts and Humanities Annual Lecture.. . .
Thomas Cummins - Writ Large: Printing, Painting, and Conversion in 16th Century America. Keynote lecture from Typography, Illustration and Ornamentation in the Early Modern Iberian Book world, 1450-1800.. . . The Rarest Books in the World, interview with Lindsay Doyle. With the 'Sole Survivors' exhibit, Marsh's Library will display 32 incredibly rare books and materials for the public.. . . Myth, War and the Comics. Episode 3 of 'Boys' Adventure Comics and World War Two', a series of podcasts by UCD History graduate Sean Murray.. . .
Martin Sheridan: the life of an Irish-American Olympian. This podcast, from UCD's Dr Paul Rouse, discusses the life of Irish-American athlete Martin Sheridan.. . .
World War Two and the Comics of the 1950s. Episode 2 of 'Boys' Adventure Comics and World War Two', a series of podcasts by UCD History graduate Sean Murray.. . . Boys' Adventure Comics in 1950s Britain. Episode 1 of 'Boys' Adventure Comics and World War Two', a series of podcasts by UCD History graduate Sean Murray.. . .
A History of International Women's Day. In this episode Abigail Smith (MA in Public History at UCD) takes a look at the history of International Women's Day.. . .
David Rieff. In Praise of Forgetting: Historical Memory and its Ironies. This episode features a lecture by David Rieff as part of the Belfast International Arts Festival. The lecture, 'In Praise of Forgetting: Historical Memory and its Ironies', was introduced by Dr Marie Coleman (QUB).. . .
Michael Staunton. Thomas Becket and the Invasion of Ireland. 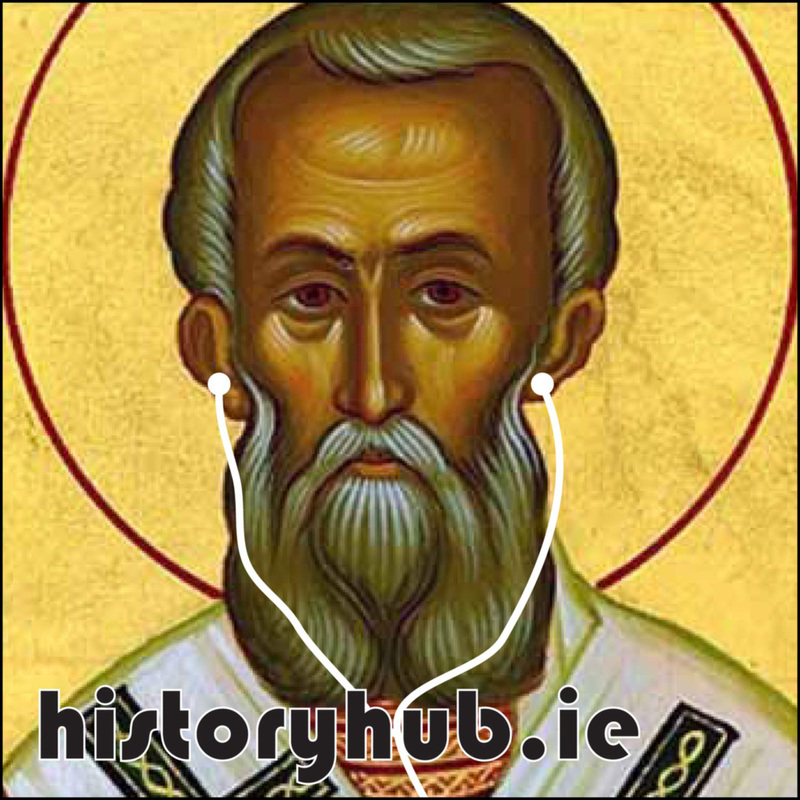 Podcast of Associate Professor Michael Staunton's paper recorded at Dublin City Council's medieval symposium on The Abbey of St Thomas the Martyr.. . .
Justin Dolan Stover. Toward an Environmental History of the Irish Revolution. This episode features a paper by Professor Justin Dolan Stover (Idaho). The paper - 'Toward an Environmental History of the Irish Revolution' - was introduced by Dr Marie Coleman (QUB).. . .
Timothy D. Snyder. Black Earth: The Holocaust as History and Warning. Professor Timothy D.Snyder discusses some of the ideas behind his book - 'Black Earth: The Holocaust as History and Warning' - at UCD History.. . .
Judith Devlin on the Russian Revolution. UCD's Professor Judith Devlin discusses the Russian Revolution of 1917.. . .
James Belich. Globalisation, Connectivity, Globalisation, and Divergence over Five Millennia: An Approach to Global History. Lecture by Prof James Belich (Oxford) at the 2017 SouthHem Seminar Series at University College Dublin.. . .
Matthew Lewis. Northern experiences of the Civil War's aftermath. This episode features a paper by Dr Matthew Lewis. The paper - 'Northern experiences of the Civil War's aftermath' - was introduced by Dr Marie Coleman (QUB).. . .
Anne Dolan. Divisions after the Irish Civil War. This episode features a paper by Dr Anne Dolan (TCD). The paper - 'Divisions after the Irish Civil War' - was introduced by Dr Marie Coleman (QUB).. . .
Gavin Foster. Local and Family Memory of the Irish Civil War. This episode features a paper by Dr Gavin Foster (Concordia). The paper - 'Local and Family Memory of the Irish Civil War' - was introduced by Dr Marie Coleman (QUB).. . .
Richard Kearney. Commemoration: Trauma and Recovery. This episode features the Annual Irish Studies Lecture by Prof. Richard Kearney (Boston). The paper - 'Commemoration: Trauma and Recovery' - was introduced by Prof. Peter Gray (QUB).. . .
Maurice Manning. Response to Richard Kearney. This episode features a response to Prof. Richard Kearney's Annual Irish Studies Lecture by Prof. Maurice Manning.. . .
Gai Roufe. The creation of modern Portuguese colonialism in Sub-Saharan Africa (1/3). Dr Gai Roufe (Ben-Gurion/Tel Aviv/Open University) visited UCD in 2017 as part of the Erasmus+ programme. In this first podcast, Dr Roufe discusses the creation of modern Portuguese colonialism in Sub-Saharan Africa.. . .
Gai Roufe. The Portuguese Colonial Wars in Angola, Mozambique, and Portuguese Guinea (2/3). Dr Gai Roufe (Ben-Gurion/Tel Aviv/Open University) visited UCD in 2017 as part of the Erasmus+ programme. In this second podcast, Dr Roufe discusses the Portuguese Colonial Wars in Angola, Mozambique, and Portuguese Guinea.. . .
Gai Roufe. The Process of Decolonisation of Portuguese Africa (3/3). Dr Gai Roufe (Ben-Gurion/Tel Aviv/Open University) visited UCD in 2017 as part of the Erasmus+ programme. In his final podcast, Dr Roufe discusses the process of decolonisation of Portuguese Africa.. . .
Nadav Davidovitch. Resistance to Vaccination (1/3). Epidemiologist and public health physician Professor Nadav Davidovitch (Ben-Gurion) visited UCD in 2017 as part of the Erasmus+ programme. In this first podcast, Professor Davidovitch discusses resistance to vaccination.. . .
Nadav Davidovitch. Vaccination and Body Politics (2/3). Epidemiologist and public health physician Professor Nadav Davidovitch (Ben-Gurion) visited UCD in 2017 as part of the Erasmus+ programme. In this second podcast, Professor Davidovitch discusses vaccination and body politics.. . .
Nadav Davidovitch. Evidence-based Medicine from a Historical Perspective (3/3). Epidemiologist and public health physician Professor Nadav Davidovitch (Ben-Gurion) visited UCD in 2017 as part of the Erasmus+ programme. In this third podcast, Professor Davidovitch discusses evidence-based medicine from a historical perspective.. . .
David Armitage. Civil Wars: A History in Ideas. This episode features the conference keynote by Professor David Armitage from Harvard University. The paper - 'Civil Wars: A History in Ideas' - was introduced by Professor Richard English (QUB).. . .
Bill Kissane. State formation, contested legitimacy and civil war in independent Ireland 1922-23. This episode features a paper by Dr Bill Kissane from the London School of Economics. The paper - 'State formation, contested legitimacy and civil war in independent Ireland 1922-23' - was introduced by Dr Marie Coleman (QUB).. . .
Gemma Clark. The nature of communal violence in the Irish Civil war. This episode features a paper by Dr Gemma Clark from the University of Exeter. The paper - 'The nature of communal violence in the Irish Civil war' - was introduced by Dr Marie Coleman (QUB).. . .
Tuomas Tepora. The Finnish Civil War and its legacy, 1918. This episode features a paper by Dr Tuomas Tepora from the University of Helsinki. The paper was entitled 'The Finnish Civil War and its legacy, 1918'.. . .
Alan Knight. The Mexican Revolution in Global Perspective. Keynote lecture from '2016 Globalizing the History of Revolutions Conference: Revolutions in the Age of Acceleration' by Professor Alan Knight (Oxford).. . . Professor John McCafferty discusses his UCD Open Learning module 'Ireland's English Centuries' which looks at the complex blend of identities, allegiances and social changes that shaped the past and continue to shape the Irish present.. . .
Dr Sandy Wilkinson discusses his module - 'The Making of Modern Europe: 1500-2000' which is open to the public through the UCD Open Learning programme.. . .
Ronan Fanning. The Political Abuses of 1916. The Political Abuses of 1916, Professor Ronan Fanning's lecture at 'Remembering, Forgetting and Fulfilling 1916' conference in Christ Church Waterford.. . .
Charles Townshend. The Complexities of Commemoration. The Complexities of Commemoration, Professor Charles Townshend's lecture at 'Remembering, Forgetting and Fulfilling 1916' conference in Christ Church Waterford.. . .
David McCullagh. Part 6 of his series on John A. Costello. Second Term, part 6 of David McCullagh's series on John A. Costello.. . .
Dublin's Multicultural History (Hidden Dublin Series). Part 3 of 'Hidden Dublin - from the Monto to Little Jerusalem' by Donal Fallon and Dr Irial Glynn.. . .
Health and housing in Dublin - from tenements to suburbia (Hidden Dublin Series). Part 2 of 'Hidden Dublin - from the Monto to Little Jerusalem' by Donal Fallon and Dr Irial Glynn.. . . The rise and demise of Dublin (Hidden Dublin Series). Part 1 of 'Hidden Dublin - from the Monto to Little Jerusalem' by Donal Fallon and Irial Glynn.. . .
David McCullagh. Part 5 of his series on John A. Costello. Mother and Child, part 5 of David McCullagh's series on John A. Costello.. . .
Diarmaid Ferriter. Kevin Barry and his legacy. Talk by Professor Diarmaid Ferriter on the legacy of Kevin Barry.. . .
Jeff Kildea. The Irish at Gallipoli (Ep 6 - Evacuation and Aftermath). Part 6 of The Irish at Gallipoli by Dr Jeff Kildea.. . .
David McCullagh. Part 4 of his series on John A. Costello. Declaring the Republic, Part 4 of David McCullagh's series on John A. Costello.. . .
Columbanus - Saviour of Civilisation? by Elva Johnston. 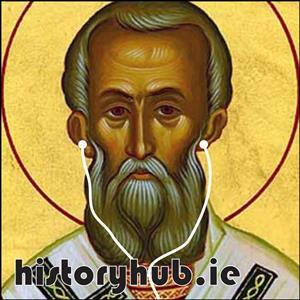 Podcast by Dr Elva Johnston on Columbanus. . .
David McCullagh. Part 3 of his series on John A. Costello. Reluctant Taoiseach, Part 3 of David McCullagh's series on John A. Costello.. . .
Brian Schoen. Abraham Lincoln (Ep 5 - With Malice Toward None). Part 5 of Abraham Lincoln - The Life and Death of a Statesman by Professor Brian Schoen.. . .
David McCullagh. Part 2 of his series on John A. Costello. The Rule of Law, Part 2 of David McCullagh's series on John A. Costello.. . .
Brian Schoen. Abraham Lincoln (Ep 4 - Lincoln and the crisis of Union). Part 4 of Abraham Lincoln - The Life and Death of a Statesman by Professor Brian Schoen.. . .
David McCullagh. Part 1 of his series on John A. Costello. Costello - Background and the Law, Part 1 of David McCullagh's series on John A. Costello.. . . Rob Meens. Columbanus and the practice of penance in early medieval Europe. ICM Plenary by Dr Rob Meens (Utrecht) - Columbanus and the practice of penance in early medieval Europe by 3 of Abraham Lincoln.. . .
Brian Schoen. Abraham Lincoln (Ep 3 - Lincoln and the rise of the Republican Party). Part 3 of Abraham Lincoln - The Life and Death of a Statesman by Professor Brian Schoen.. . .
Brian Schoen. Abraham Lincoln (Ep 2 - Lincoln's Early Life). Part 2 of Abraham Lincoln - The Life and Death of a Statesman by Professor Brian Schoen.. . .
Brian Schoen. Abraham Lincoln (Ep 1 - Assassination). Part 1 of Abraham Lincoln - The Life and Death of a Statesman by Professor Brian Schoen.. . .
Jeff Kildea. The Irish at Gallipoli (Ep 5 - The August Offensive (Suvla Bay)). Part 5 of The Irish at Gallipoli by Dr Jeff Kildea.. . .
Jeff Kildea. The Irish at Gallipoli (Ep 4 - The August Offensive (Sari Bair)). Part 4 of The Irish at Gallipoli by Dr Jeff Kildea.. . .
Jeff Kildea. The Irish at Gallipoli (Ep 3 - The Advance to Krithia). Part 3 of The Irish at Gallipoli by Dr Jeff Kildea.. . .
Jeff Kildea. The Irish at Gallipoli (Ep 2 - The Landing). Part 2 of The Irish at Gallipoli by Dr Jeff Kildea.. . .
Jeff Kildea. The Irish at Gallipoli (Ep 1 - Background). Part 1 of The Irish at Gallipoli by Dr Jeff Kildea.. . .
Dramatising Poverty - Comparative Perspectives on Case Files, Stories and Remedies by Professor Mark Peel (University of Leicester).. . .
Mapping State and Society in Eighteenth-Century Ireland by Dr Ivar McGrath (UCD).. . .
UCD Centre for War Studies seminar - The Irish Revolutionary Generation by Professor Roy Foster (University of Oxford).. . .
Commemorating Clontarf - 1014 through the Ages. Commemorating Clontarf - 1014 through the Ages, a History Hub documentary.. . .
1014 - Brian Boru and the Battle of Clontarf. Dr Elva Johnston. Dr Elva Johnston on Brian Boru and the Battle of Clontarf.. . .
St Patrick - The historical man and the popular myth by Dr Elva Johnston (UCD). . . The final years of the Irish workhouse and its dissolution. Professor Mary Daly. Professor Mary Daly on the final years of the Irish workhouse and its dissolution.. . .
Dr Stephen Kelly on the life of Cardinal John Henry Newman. . .
An audio documentary on the scholarly legacy of Prof Eoin MacNeill.. . . Professor Diarmaid Ferriter (UCD). Eoin MacNeill - Revolutionary and Scholar.. . .
Dr Bryce Evans (Liverpool Hope University). Food in Ireland during the Second World War.. . .
Irish Advanced Nationalism and Youth in the Early Twentieth Century. Dr Marnie Hay (UCD). Irish advanced nationalism and youth in the early twentieth century.. . .
Dr Ciara Meehan (UCD). Towards a Just Society.. . . The Mother and Child Controversy. Dr Lindsey Earner-Byrne (UCD). The Mother and Child Controversy.. . .
British Policy in the Falklands in the 1970s. Dr Aaron Donaghy. British Policy in the Falklands in the 1970s. Dr Aaron Donaghy.. . .
Current Irish Emigration - a comparison with the 1950's and 1980's. Irial Glynn. Current Irish Emigration - a comparison with the 1950's and 1980's.. . .
Jennifer Farrell - Merlin and his Prophecies.. . .
Conor Mulvagh - The Third Home Rule Bill 1912. . . The legacy of The Crusades by Prof Jonathan Phillips (Royal Holloway, University of London). . . The Third Crusade, Richard Lionheart and Saladin by Prof Jonathan Phillips (Royal Holloway, University of London). . . The reasons for the calling of the Second Crusade - Prof Jonathan Phillips (Royal Holloway, University of London). . .
Why did Pope Urban II launch the First Crusade in 1095? - Prof Jonathan Phillips (Royal Holloway, University of London). . .
Dr Sarah Campbell (UCD).. . .
Dr Christopher Prior (UCD).. . .
Dr Paul Rouse (UCD).. . .
Why are people so interested in Stalin's personality? Dr Judith Devlin (UCD). . .
Dr Christopher Prior (UCD). . .
Why was there a Civil Rights Movement in Northern Ireland? Dr Sarah Campbell. . . The Origins of the First World War. Dr William Mulligan. . . Professor Michael Laffan. . .